IT Authorities, a world-class IT Managed Service Provider (MSP) in Tampa, is pleased to announce Jeff Lynn will join the senior leadership team as Chief Operating Officer. 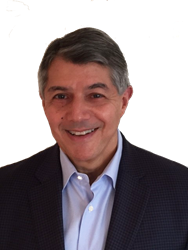 Lynn is a seasoned executive bringing nearly 40 years of experience in the technology industry to ITA and its growing customer base. “Companies cannot deliver on the promise of world class service without world class leaders at the helm”, said CEO Philip LaForge. “Our customers and coworkers will immediately benefit from Jeff’s significant capabilities and leadership style backed up by a history of success at some of the tech industries most revered companies”. 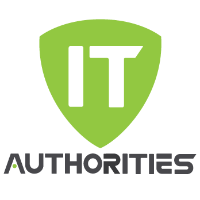 About IT Authorities: IT Authorities, a world-class IT Managed Service Provider (MSP) based in Tampa, Florida, was founded in 2006. Its 135+-person team is available 24/7 to offer IT services under the managed services umbrella including professional services, cloud services, consulting, procurement, disaster recovery solutions and business continuity solutions to its clients. IT Authorities is passionate about helping businesses increase profit, improve productivity and function with peace-of-mind, being assured that its IT systems are in the most reliable and secure state and their people are being taken care of in a world class manner. Visit http://www.itauthorities.com or call toll free at 813-246-5100 to learn more.